Selena Gomez just unveiled her latest collaboration with PUMA and, it's going to inspire you to look cute when you hit the gym! The 26-year-old singer has become PUMA's muse ever since their very first collaboration. This newest addition to her line of workout fashion features lilac-coloured kicks that will make working out a fashion statement. So, what exactly are these kicks? We all know about PUMA's sleek Cali sneaker that debuted last year in monochromatic shades. With the classic Cali sneaker silhouette, Selena Gomez has introduced an all-new pastel colourway and it's one thing we never knew we needed. The best part? These sneakers will drop on February 1, making them the perfect gift for this upcoming Valentine's Day. Curious to find out more? Peep the sneakers in the photos shown below. 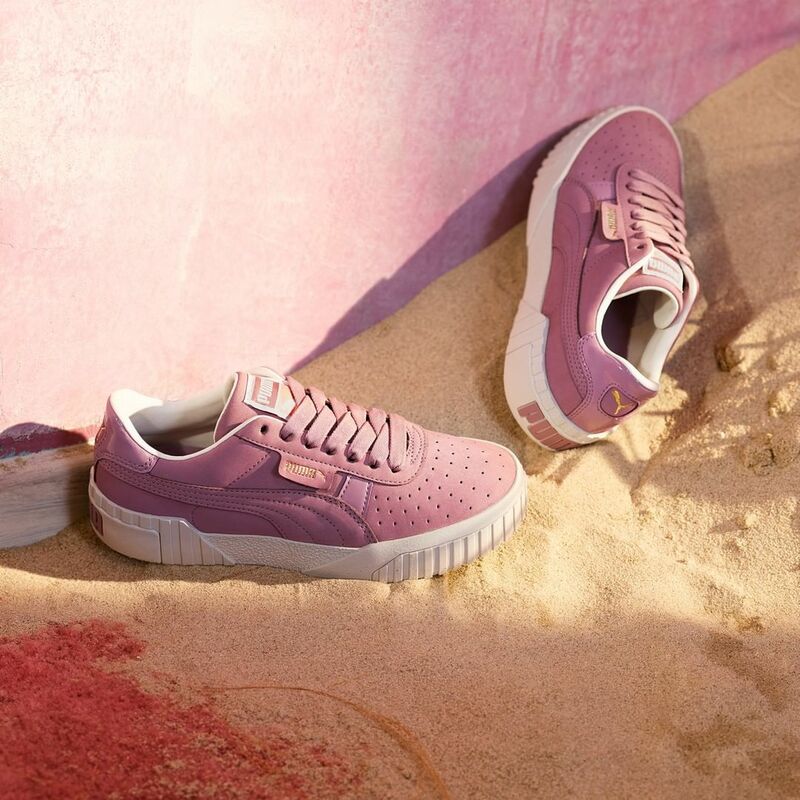 Named the Cali Nubuck, the sneaker comes in a pastel colourway which is distinctly different from the monochromatic palette of the original Cali sneaker. These kicks by Selena Gomez blends a muted, lilac "Elderberry" hue with tonal details. While the upper sports a soft and dusty purple, the shoe also includes tonal details featuring stylish metallic laces and gold PUMA branding that sits on the side and heel. To complete the look, these sneakers feature a slightly elevated platform midsole and light purple PUMA text on the heel. So if you've been thinking of how you can look cute at the gym, you can finally do so with PUMA. The PUMA Cali “Elderberry” is available at selected PUMA accounts from February 1. However, we are unsure if these will be hitting our shores anytime soon. We'll definitely be keeping a lookout so stay tuned and remember to check our page for any updates! Know a friend who will love these? Share this post with them!